Call 866-869-3335 To Get the Right Umbrella Insurance Protection For You at the Lowest Cost! Don’t Get Soaked. Get a North Carolina Umbrella Insurance Policy! Your home, auto, motorcycle and other insurance policies provide up to a certain amount of liability protection for you. That means, if you are found responsible for causing significant damage to property or to other people, your policies will only pay up the limits unless you have a North Carolina Umbrella Insurance policy. The problem that can occur is that the policy limits may be too low. For example, what if you seriously injure or even kill someone in a car crash. The limits on your car insurance policy will most likely be exhausted very fast leaving you on the hook for the rest. The courts can seize your assets and force you to pay a percentage of your income for years. This can be devastating. The good news is that you can buy a North Carolina liability umbrella policy that can give you peace of mind knowing that you are protected from a financial disaster for less than $11 a month! Coverage amounts start at $1,000,000 and can go up to $5,000,000 for a standard umbrella policy. Higher limits are available though. And the list can go on. The fact is nearly everyone needs an umbrella policy. The typical liability umbrella policy in North Carolina can cost as little as $11 a month for a home and 2 cars. The more you own that needs to be added to the policy, the premium can go up. 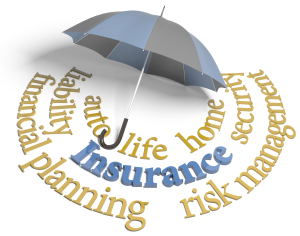 Personal Liability Umbrella policies are the least expensive protection you can buy. If something serious does happen, it can save your financial future too. Do You Need a Personal Liability Umbrella?